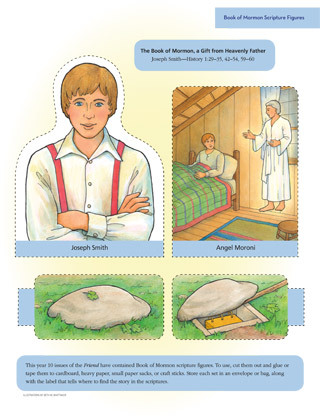 This year many issues of the Liahona have had a set of Book of Mormon scripture figures. To make them sturdy and easy to use, cut them out and glue or tape them to heavy paper, to small paper sacks, or to craft sticks. Store each set in an envelope or bag, along with the label that tells where to find the scripture story that goes with the figures.